I am deeply honored to have the opportunity to deliver the commencement address for the 2018 East Catholic High School graduation. 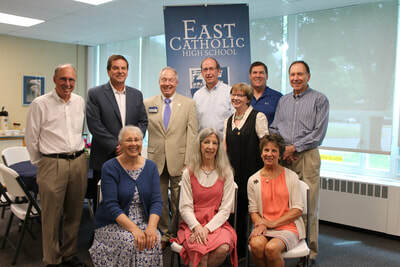 As mentioned in the introduction, I am a proud member of the 1970 East Catholic High School graduating class. For the students and maybe even their parents, 1970 probably seems like an eternity ago. For me, the memory of that day, June 11th, 1970, with the ceremony also held in this same cathedral, remains quite vivid in my mind. Much has changed since 1970. Technology has altered our everyday lives in so many ways, much for the better, but some changes unfortunately, for the worse. There was no Internet, instant messaging, cell phones, cable TV stations, or driverless cars in 1970. To complete writing assignments, one had to actually go to a library, retrieve the relevant texts, and then prepare the manuscripts on unforgiving typewriters which lacked spell check, grammar check, and auto- correct. 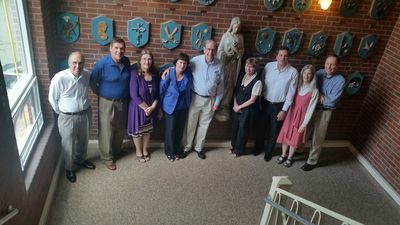 A majority of the faculty back then were members of the Sisters of Notre Dame, still clothed in the black habits that we now see for the most part only in old movies. The changes that have occurred at East Catholic since 1970 have been many. They include: An expanded curriculum, greater student body diversity, new facilities, and many more athletic teams for women as well as men. 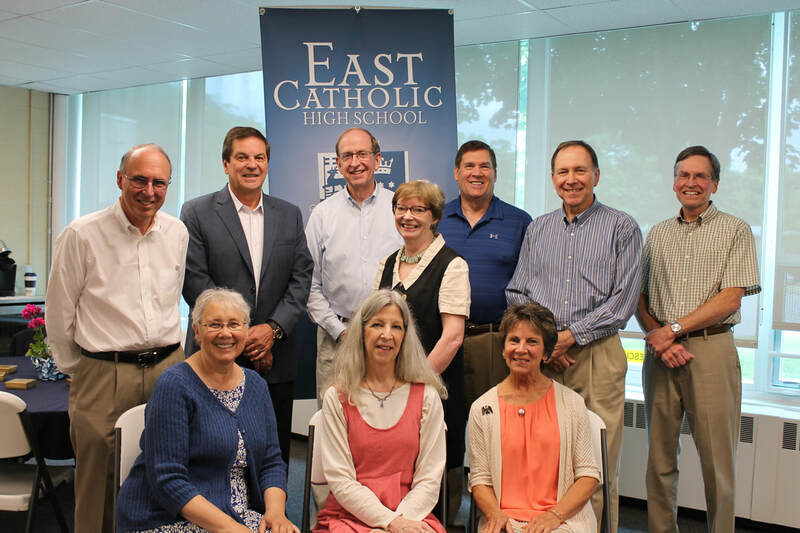 And yet importantly, much about East has remained constant over the nearly 60-year history of the school. When I first thought about applying to East, I have to be honest, the biggest draw in my mind was not East’s academic reputation, but, …. the chance to play basketball at a high level. From East’s inception, excellence in sports has been a hallmark of the school, particularly in basketball in the early years. Basketball was a logical sport for me as I was already 6 feet 2 inches tall by age 13. Unfortunately, reality hit after a rather undistinguished freshman year. Number one, I stopped growing and even more significant, most players were better than me. So I later switched to track where my lack of speed but ability to jump worked out much better. More importantly, I realized in a moment of brilliant insight provided by the able guidance counselors at East that if my growing interest in a career in medicine was going to be realized, perhaps my energies would be more appropriately directed to serious academic activities. 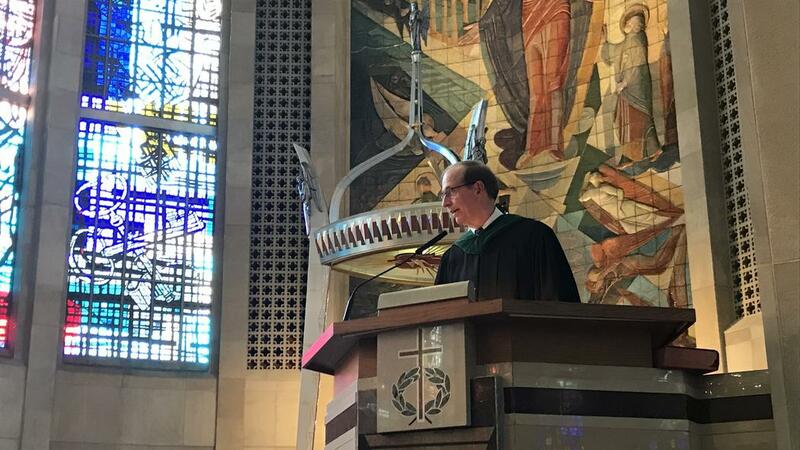 I would like to share with the graduates three key principles that were fostered and strengthened during my time at East, which I have found to have continuing value as my career has unfolded. FIRST OF ALL - Develop and then continue to nurture an undying passion to learn. Never lose your sense of intellectual curiosity. The well-worn phrase “the only constant is change” is never more relevant than today. My clinical focus as a physician is taking care of patients with lung cancer. When I began my career, I often would be able to give the same lecture on lung cancer treatments to medical students and physicians in training year after year as little progress was being made against this dreadful disease. Now with the insights gained through advances in molecular biology leading to very selective targeted therapies and our increasing ability to induce the patient’s own immune system to attack the cancer, the pace of new advances is almost breathtaking and requires constant diligence to keep abreast of the latest advances. This need for constant learning is not limited to medicine and will apply to whatever field of endeavor you choose to follow. When you look around at many of our most successful individuals such as Mark Zuckerberg as an undergraduate at Harvard conceiving of the idea of Facebook, or Larry Page and Sergey Brin as Stanford undergraduates developing the idea of an internet search engine that would ultimately lead to Google, a common theme is having the ability to both recognize opportunities when they present and then having the fortitude to embrace them no matter how daunting they may appear. Fear of failure should not guide you to choose the path of least resistance. Let me cite an example from my own career which occurred shortly after I finished my training in oncology. From the beginning, my clinical practice has primarily focused on patients with lung cancer. At that time our limited treatment options included drugs that invariably caused patients to have severe side effects. This resulted in tremendous distress for our patients even causing some individuals to avoid treatment completely. Our means to prevent these side effects were woefully inadequate. Through some colleagues, I learned that a new drug had been developed by a pharmaceutical company that theoretically might be effective in preventing patients from getting sick following chemotherapy administration. The initial trials in man were about to start at two U.S. medical centers. I sought the advice of my chairman of Medicine at Boston University Medical Center as to whether I should try to get involved in the further development of this drug. He was not encouraging. He advised me to place my primary focus on developing drugs that treat the cancer, not the side effects of treatment. He also told me that if I pursued these kinds of studies, I risked getting stuck in a narrow cul de sac which would very likely limit my career advancement. I was disappointed with his advice but not dissuaded, as I believed that too little emphasis was being given to the quality of life of our cancer patients, especially in situations where cure was not a realistic goal of treatment. Fortunately, I was able to convince the pharmaceutical company to provide the drug to our team at BUMC. The results of our studies at BU and other study sites were extraordinarily successful, leading the FDA to approve the drug for general use in 1991. This initial experience opened the door for me to meet and ultimately collaborate with many amazing physicians and scientists around the world and with other pharmaceutical companies, to both design and carry out many national and international clinical trials testing a host of new drugs designed to lessen the toxicity of chemotherapy treatment. These drugs have dramatically improved the quality of life of cancer patients undergoing treatment. Several years later, I left BU to join another institution in Boston. During my exit meeting with that same chair of medicine I noted with some irony, … the cul de sac has evolved into a superhighway. THIRDLY - Find ways to provide service to others. 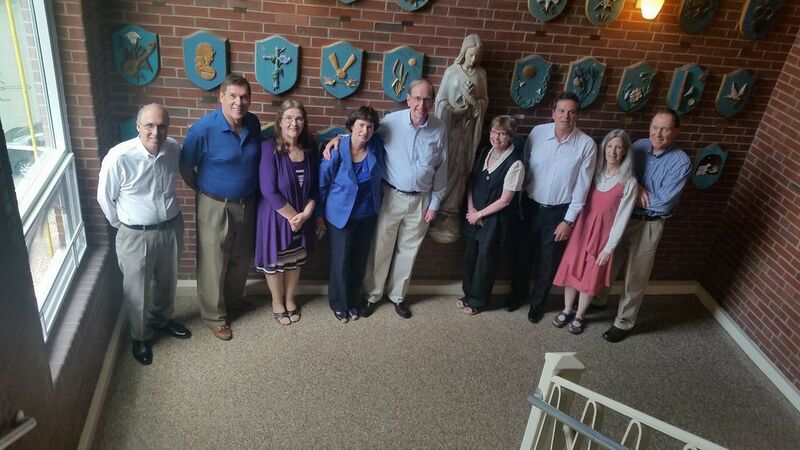 This was an important principal instilled in me throughout my four years at East and later during my years at Boston College with its Jesuit tradition of service. It remains an essential element of the East Catholic experience today as well. I see this on your web site, in your publications, and in talking with staff members. The need for service to others has never been greater as our society increasingly focuses on the needs and gratification of the individual. We have seemingly lost our ability to connect on a human level as our digital technologies increasingly serve as our primary means of communication. I have been very fortunate. My career in medicine has afforded me enormous opportunities to learn, to help discover more effective treatments, to teach and mentor new generations of physicians, and in my administrative role to implement new models of care delivery as our ability to afford all of the new healthcare advances becomes more challenging. However, by far my greatest satisfaction comes with the ability to serve my patients and their devoted families. For the majority of patients with advanced cancer, unfortunately, cure is not currently an option. What we are learning to do, however, is to increasingly allow many of our patients to live years with diseases where survival was previously measured in months; making cancer a chronic disease that can be controlled if not cured. The personal toll on both medical and personal caregivers during this process should not be understated. Nevertheless, the sense of satisfaction from helping patients cope with the emotional and physical hardships that come with a cancer diagnosis makes it all worthwhile. Please remember, … It is all about the human connections you make, no matter what career you choose or what volunteer opportunities you pursue. Without a doubt, you will find a greater sense of purpose and being if you find a way to truly connect to those in need. To quote St. Francis of Assisi, “Remember that when you leave this Earth, you can take with you nothing you have received, only what you have given: a full heart enriched by honest service, love, sacrifice, and courage”. I sincerely hope that some of you graduates will be drawn to a career in the medical field where the need is great and the opportunities to serve continue to grow. The opportunities for service, however, extend to all of you, whatever profession you end up pursuing, if not during your day jobs then in after-hour pursuits. The satisfaction gained from such activities will be enormously rewarding both to you personally and to society. So to the graduates - my sincere congratulations and best wishes. You deserve tremendous credit for all of your hard work. But please, before day's end, find a way to acknowledge and thank all who have helped you get to this special day, especially the sacrifices made by your parents. My humble final words of advice, maintain your intellectual curiosity, embrace opportunities, and most importantly, find ways to serve others. The rewards will far exceed the sacrifice and efforts expended. Thank you.